Tagline- The 13 Greatest Shocks of All Time. 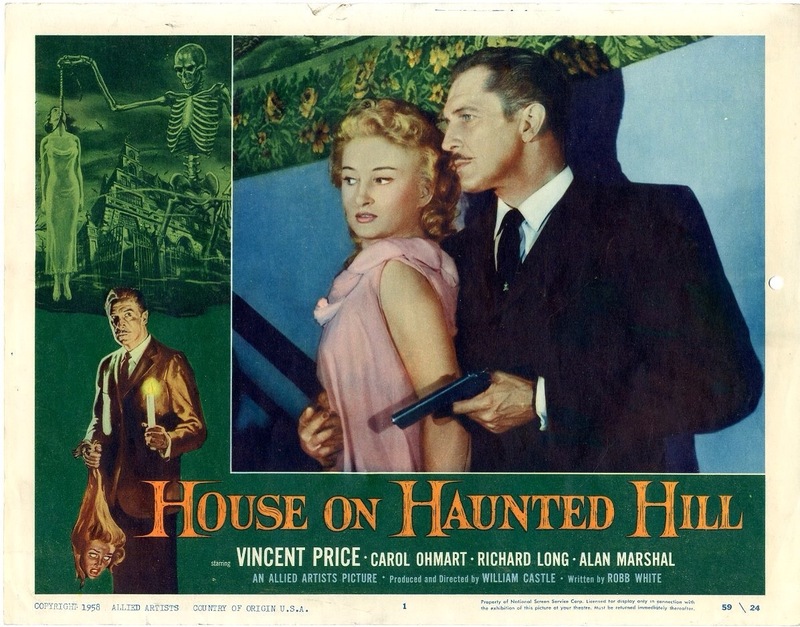 When it comes to the career of William Castle he’s probably better known for his gimmicks rather than the films he made. 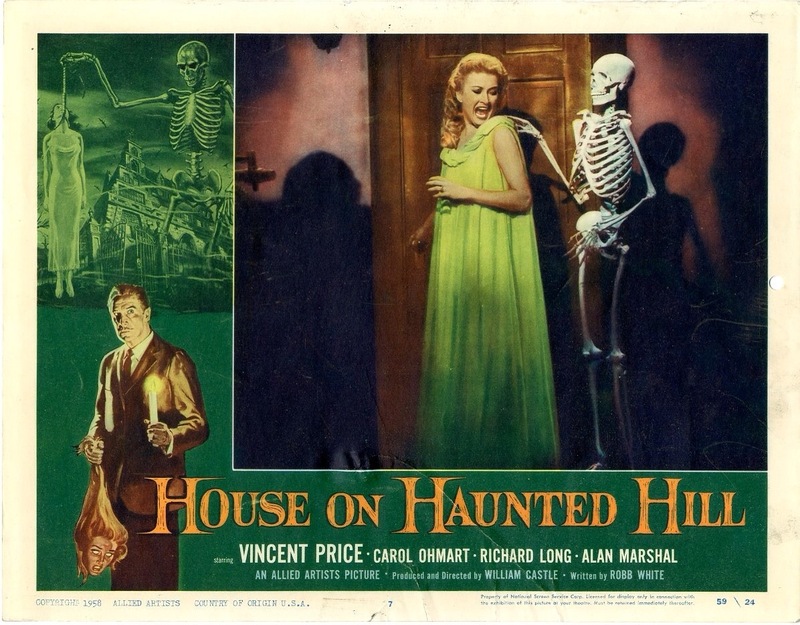 While his films are seen as cult classics and when originally released many of them turned a profit, but his detractors think it was the gimmicks that sold these films, which is true to some degree, but seeing as his films are seen as cult films I think there was more to William Castle than just that, as these gimmicks are lost on home video. 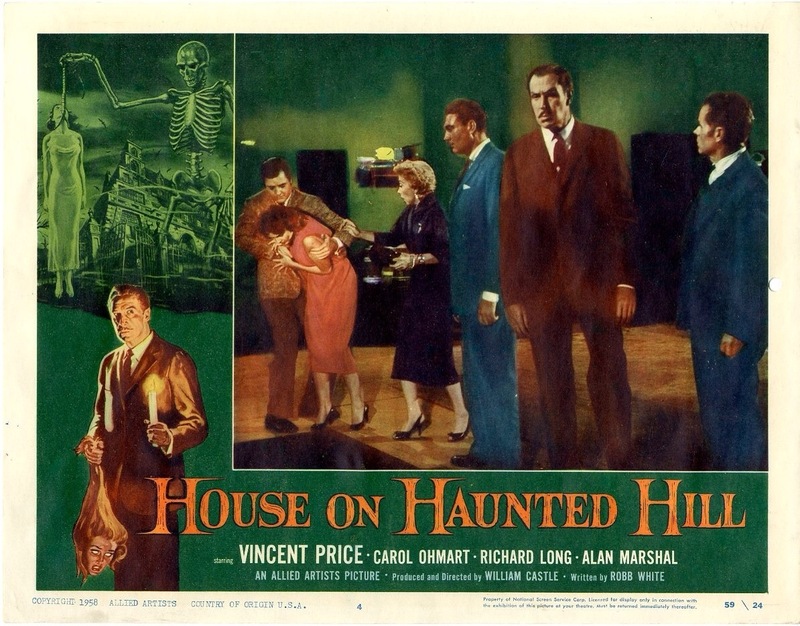 The House on Haunted Hill was released in 1959 and stars the legendary Vincent Price who had two major horror hits with House of Wax and the Fly and he added yet another hit here and was now a bankable horror star. 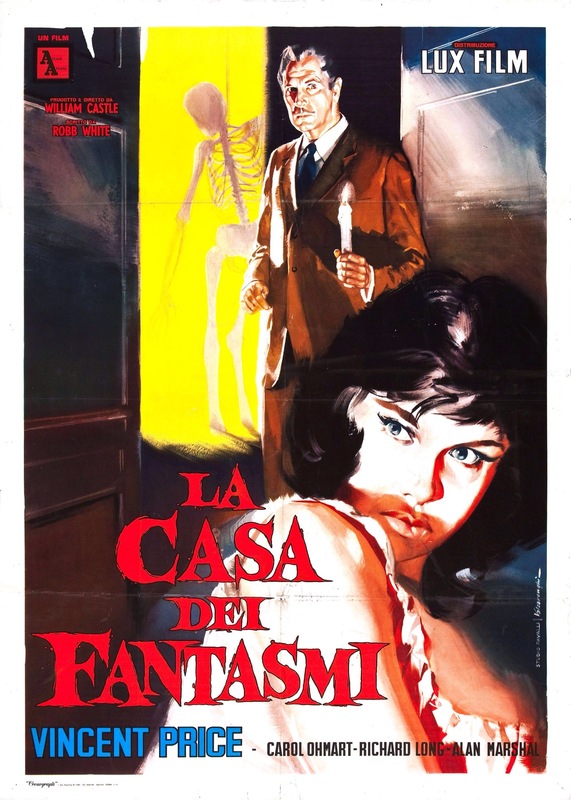 Millionaire Frederick Loren (Price) offers 10 grand to 5 people willing to spend the night in an old spooky house that’s supposed to be haunted. 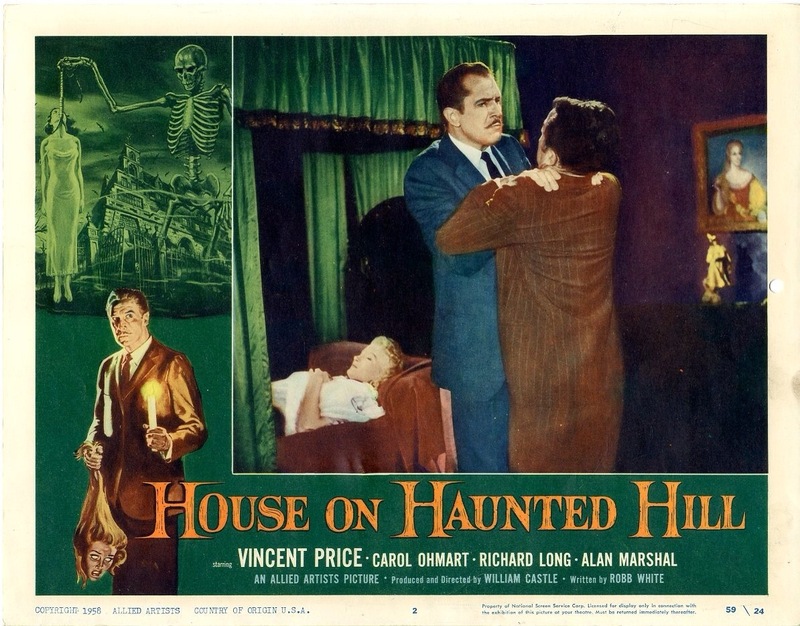 The screenplay was written by Robb White who was a regular for William Castle as besides this he also wrote Macabre, the Tingler, 13 Ghosts and Homicidal all directed by Castle. The screenplay is actually decently plotted with some nice plot twists. 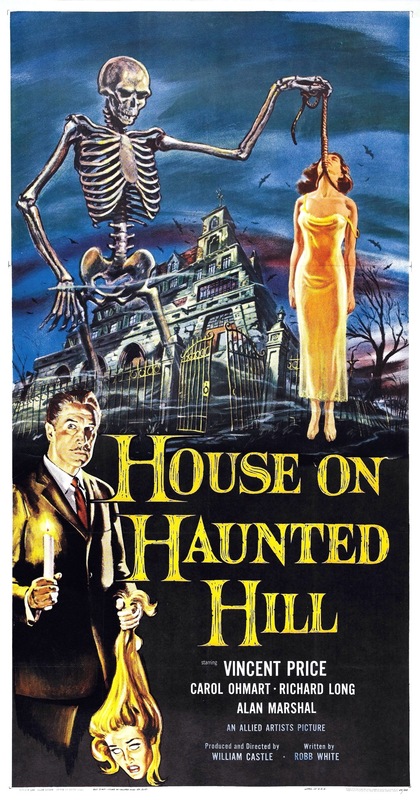 The setup is you classic haunted house film and the characters while kind of lack are also entertaining. 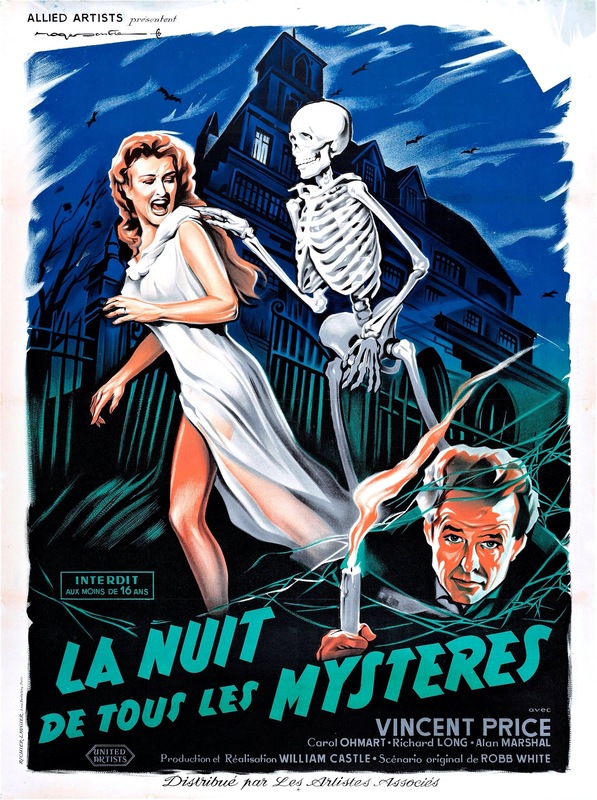 Robb White doesn’t write a great film it’s simply B-movie fun, but effective. 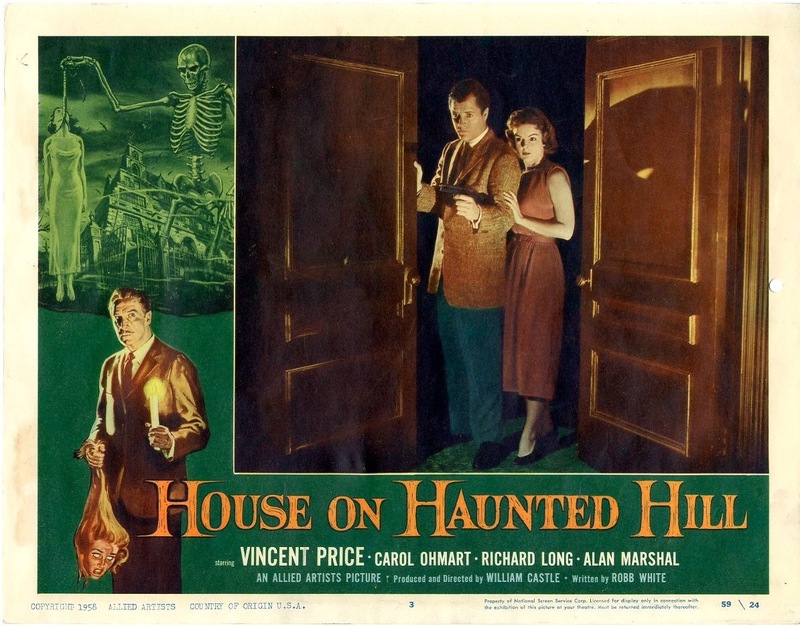 William Castle was truly great at promotion and he did a great job at marketing his films with fun gimmicks such as the fright meter in Homicidal, the screen going dark in the Tingler and Vincent Price telling everyone in the theater to be calm. Here apparently a skeleton at some point would hover over the crowd during the suspense scenes. 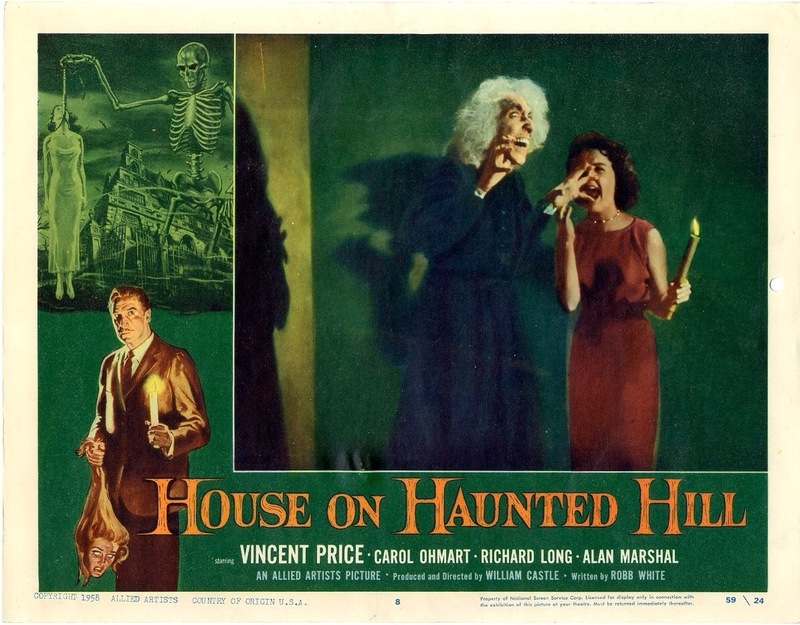 If William Castle was as good a director as he was at promotion he’d be the best. 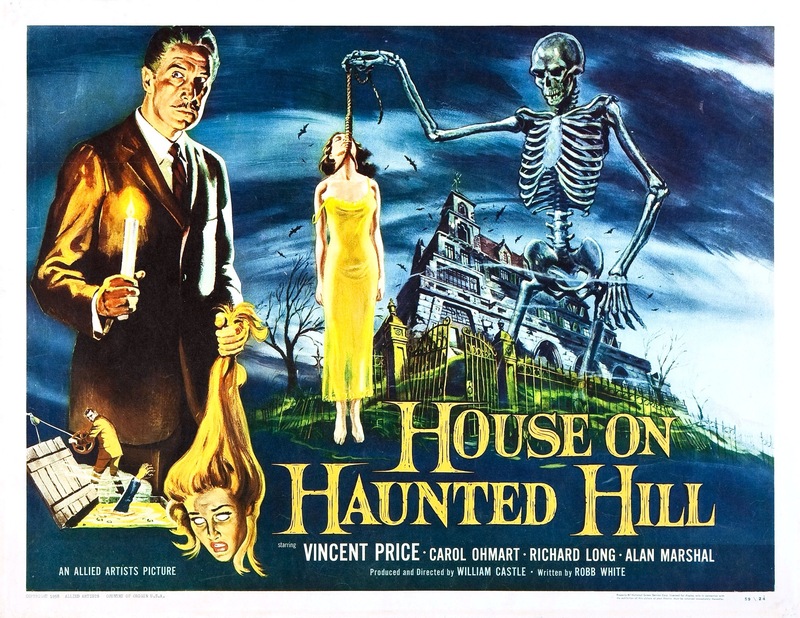 However with that said William Castle was more than just a gimmick filmmaker and was very much a competent filmmaker as there’s a reason why he’s become a cult figure and such films as I Saw What You Did, Strait-Jacket and the Old Dark House remake showcase his skills as a director and even the House on Haunted Hill. 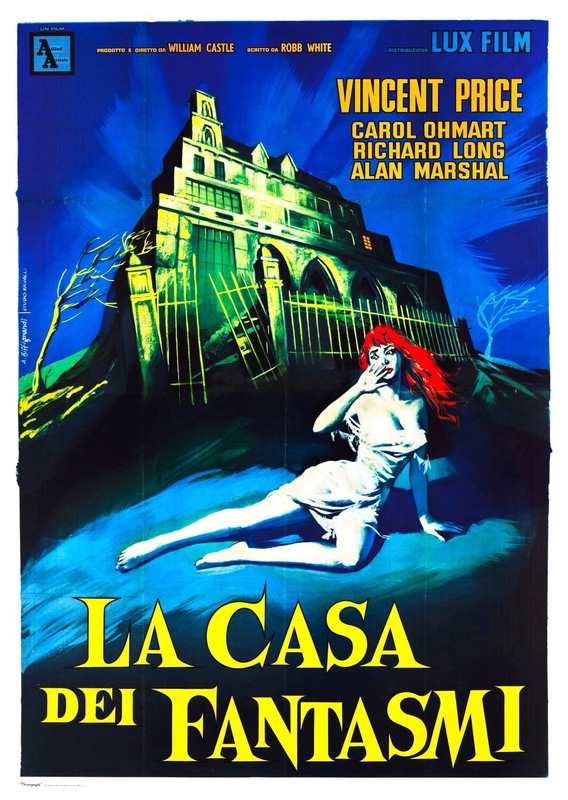 From the very start, Castle establishes a fun tone, which he’s able to mainly maintain throughout the picture. There are some pace issues in the middle, but running at only 74-minutes it doesn’t take long for the film to get back on track. For a modern audience the suspense probably won’t play out well, but there is some legit suspense at times and even if it doesn’t work as well now it does retain its fun factor. 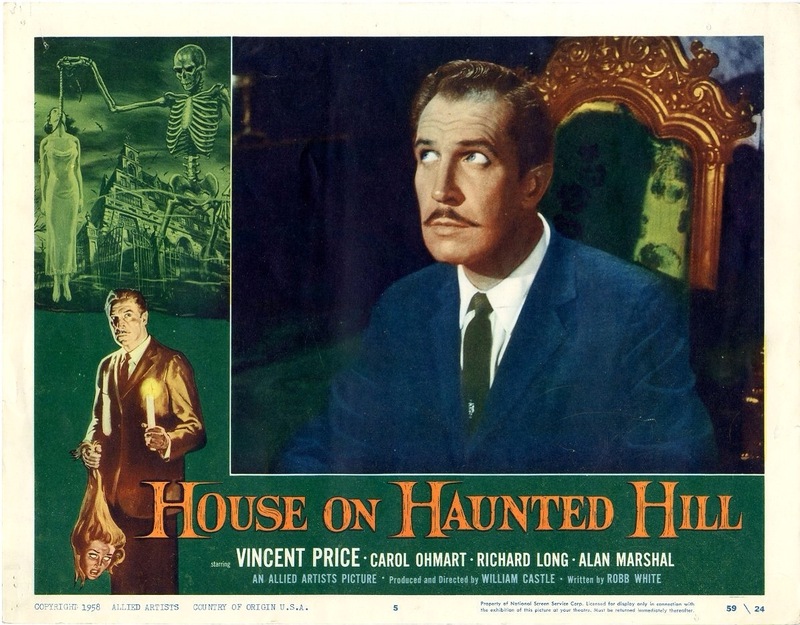 The cast is solid, but its Vincent Price that really makes this film. I’ve said this before in other reviews, but Price is the kind of actor that was so gifted with such a great screen presence that he could make even a subpar film watchable. 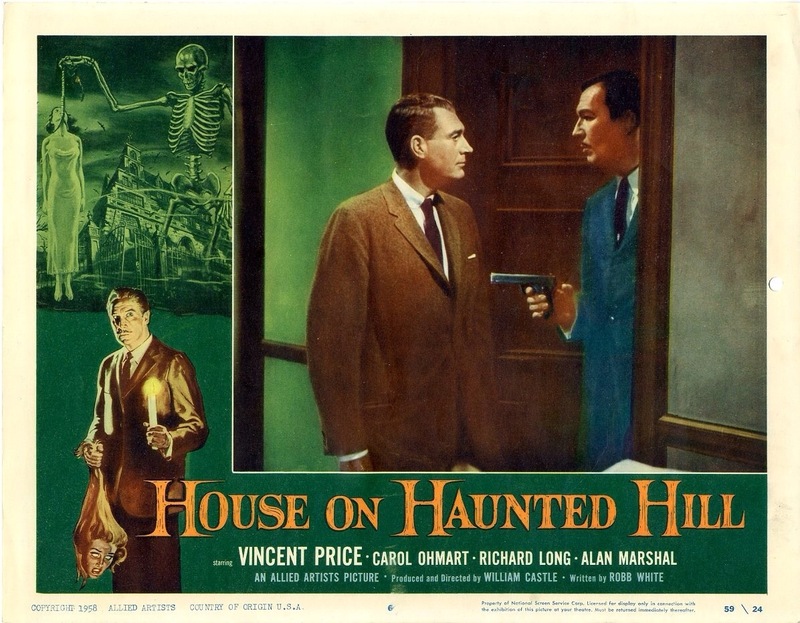 Outside of his work with Roger Corman, Price is most associated with William Castle and without Vincent Price the House on Haunted Hill would have still been fun, but not nearly as enjoyable. 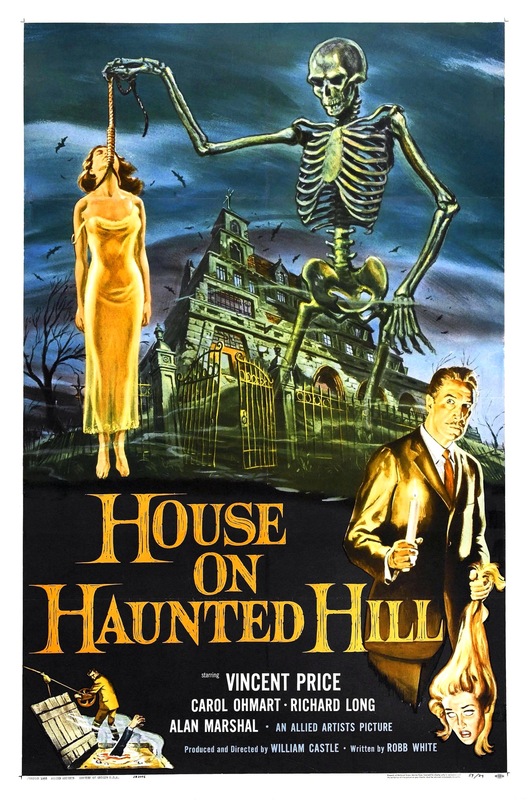 Overall the House on Haunted Hill is a fun movie that has that B-movie charm. 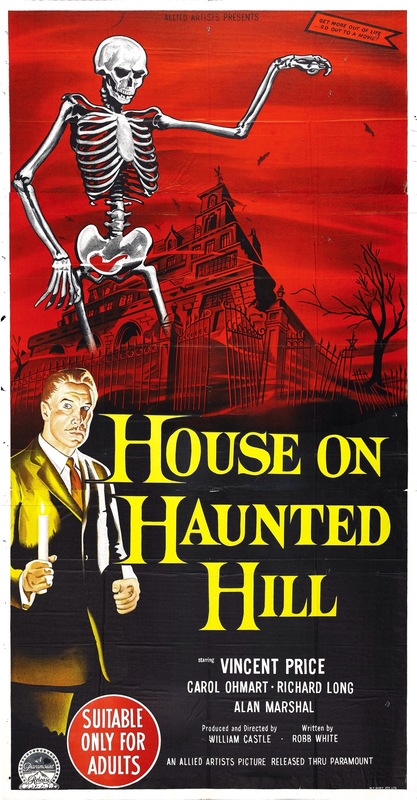 It isn’t a great film by any means, but the pure fun factor elevates it.